How to Cook Osso Bucco Veal-Easy Recipe! What is Veal Osso Bucco? 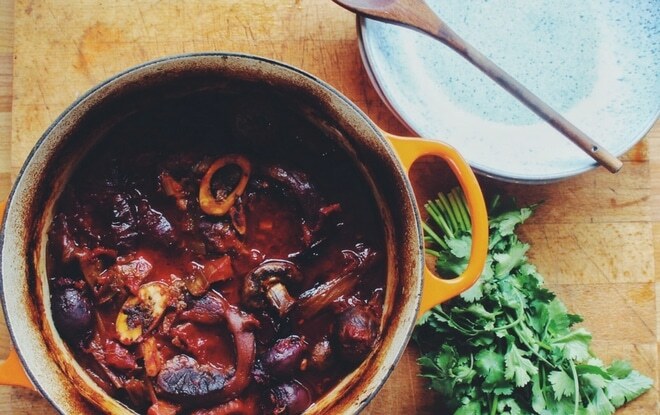 Osso Bucco is an often overlooked cut of rose veal. Only those in the know quickly buy it every Saturday at our stand in the farmer’s market. 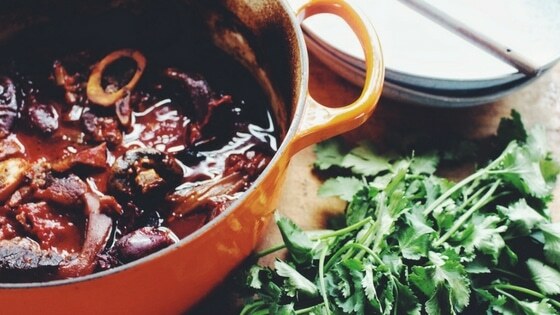 I personally adore osso bucco stew and cook it very often in our little cottage kitchen. It works especially well on those days where I am stuck for time, or feel too tired to bother with much chopping and prep. Osso bucco simply means bones with holes and that pretty much sums up the meat. We butcher it from the shank, so you get a piece of bone (with marrow) and a circle of surrounding meat, marbled with fat. Once cooked osso bucco becomes very tender and soft and should almost collapse in the pot. The outside ring of skin should always be left on to keep these delicious pieces of melting meat together. How to Cook Osso Bucco? However here is my easy, quick and very tasty osso bucco stew made using our very own rose veal osso bucco. Being a mum and a farmer’s wife means I like to have a few easy recipes on hand and this one fits the bill perfectly. On reading the Guardian’s article above I should say that this recipe it most similar to Angela Hartnett as I like to cook mine with leek and tomatoes. Anyway, it was created completely at the whim of what was in a slightly empty pantry but tastes absolutely wonderful. I hope you enjoy it too. 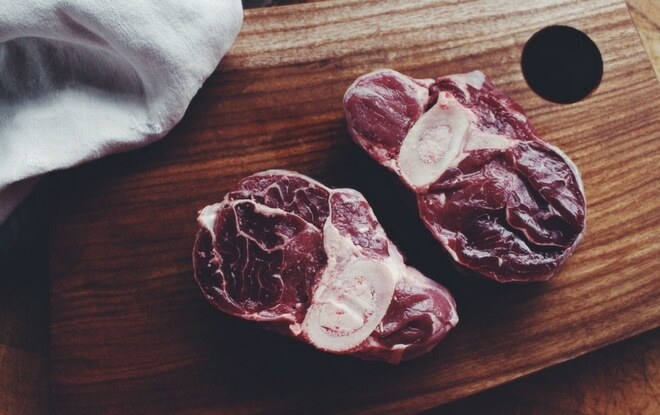 4 pieces Osso Bucco (available as a request in our rose veal meat boxes). 4 carrots cut into quarters. Enough chicken stock to cover the osso bucco. First of all I soften the onion and celery in my trusty casserole pan. Once soft add about two glugs of white wine and bring to a boil. Reduce heat and add all of the other ingredients except the butter. Bring to a boil and put in a preheated oven at gas mark 4 (180C) for 2.5-3 hours. I like to check mine now and again to make sure the liquid hasn’t disappeared and that the occo bucco hasn’t overcooked. You’ll know its’ ready once the liquid has become sauce like and the osso bucco is just starting to fall apart. I now add in a tablespoon of soft butter and let it melt in. As this is an easy stew I serve this with baked potatoes. Traditionally they say to serve it with risotto but I couldn’t bear all that stirring on a lazy day so I go for buttery baked potatoes with crispy skin. Yum! 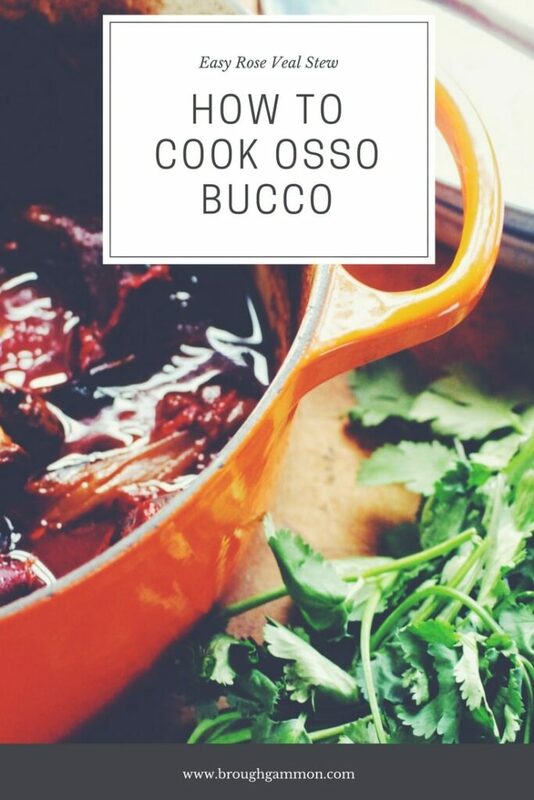 Let us know in the comments below if you’ve ever cooked osso bucco before, and if so what is your favourite recipes?